DELAND, Fla. /Florida Newswire/ -- George Mason was a short, bookish man who was a friend and neighbor of athletic, broad-shouldered George Washington, says author William G. Hyland, Jr., in his new book, "George Mason: The Founding Father Who Gave Us the Bill of Rights" (ISBN: 978-1621579267; Regnery History). DELAND, Fla. /Florida Newswire/ -- Over 100 quilted items will be on display during guided tours of Florida's 'Gilded Age' Stetson Mansion. Named by Trip Advisor as Florida's 'Most Popular Tourist Attraction,' the Stetson Mansion is the restored and updated winter home of famed hat maker John B. Stetson. DELAND, Fla., July 14, 2015 (SEND2PRESS NEWSWIRE) -- Over 100 quilted items will be on display during guided tours of Florida's 'Gilded Age' Stetson Mansion. Named by Trip Advisor as Florida's 'Most Popular Tourist Attraction,' the Stetson Mansion is the restored and updated winter home of famed hat maker John B. Stetson. 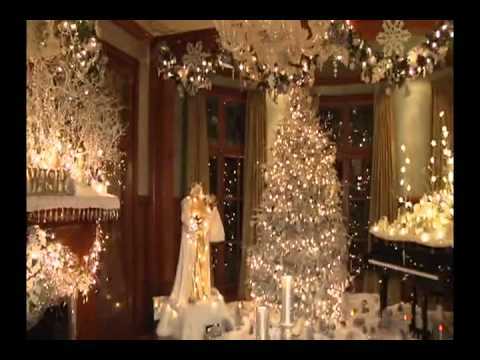 DELAND, Fla. /Florida Newswire/ -- Designer decorations from around the world embellish the historic Stetson Mansion for 2 months starting November 15, 2014. Named 'Florida's most popular attraction' by Tripadvisor, the mansion endeavors to outdo all other holiday decorations in Florida. Famed hat maker John B. Stetson originally built this private ornate mansion in 1886. DELAND, Fla. /Florida Newswire/ -- It snowed inside the Stetson Mansion this week thanks to a tree flocking company in Central Florida. 'Four Seasons Christmas Trees has helped transform our reception parlor into a frozen forest,' said owner JT Thompson. 'You can't tell the inside from the outside anymore! The funny thing is we all found out that anything can be flocked!' 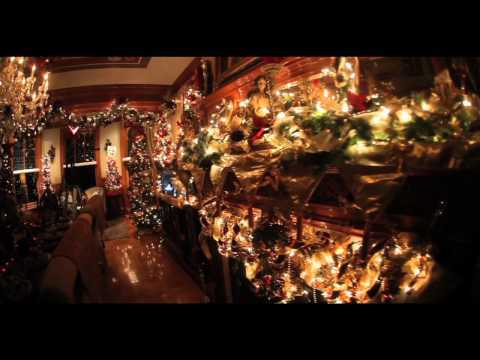 Stetson Mansion 2014 'Christmas Spectacular!' Tours run Nov. 15 thru Jan. 15 2015. 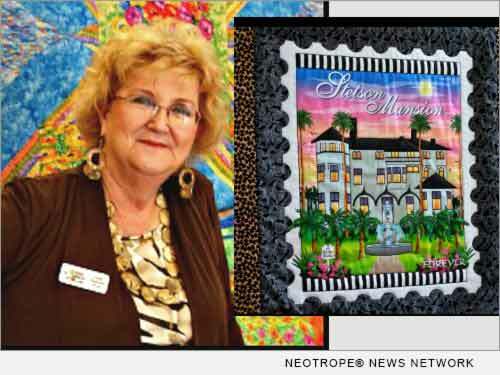 DELAND, Fla. /Florida Newswire/ -- The Quilt Shop of DeLand and the Quilting Guild of the Villages will be partnering with the 1886 Stetson Mansion for a unique holiday quilting event Nov. 15 thru Jan. 15, 2015. The combination of quilting with the artistic talents of various Orlando designers at the annual Stetson Mansion 'Christmas Spectacular!' will be a must see during the holiday season. DELAND, Fla. /Florida Newswire/ -- The holiday season is coming up soon and if you are in need of a sure-fire way to get in the holiday spirit, plan to experience 'The Stetson Mansion Christmas Spectacular.' Over-the-top designer decorations from around the world dress up Florida's largest, grandest and most historic home ever built before the 20th century. The 1886 private estate is open to the public for 8 weeks starting November 15, 2014.